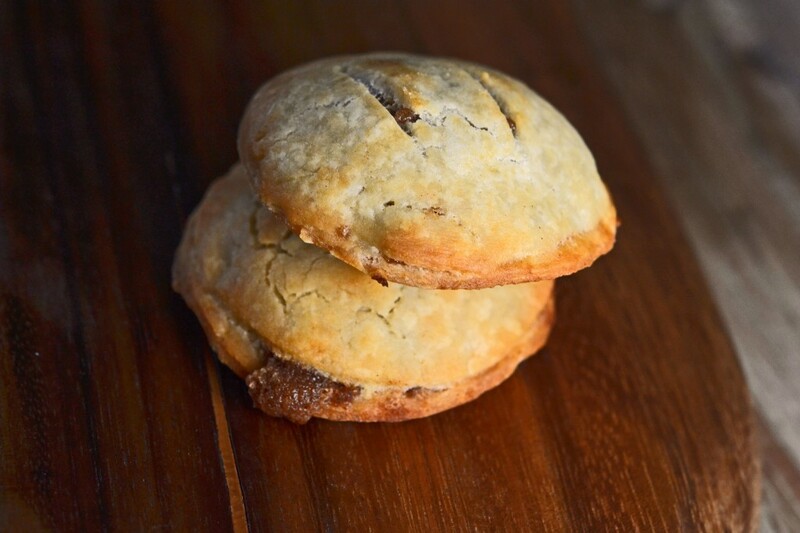 Dairy-Free Gluten-Free Pastry Flour Hack | Great gluten free recipes for every occasion. Did you think I forgot about you, my gluten-free/dairy-free brothers and sisters? Cup4Cup is such a nice gluten-free pastry flour, but it’s super expensive. So, in an effort to make it more affordable, I hacked Better Batter into Cup4Cup using nonfat milk powder. There were plenty of you who said – hey! what’s with the dairy? But that nonfat milk powder plays a really important role in Cup4Cup flour, and it’s hard to live without. 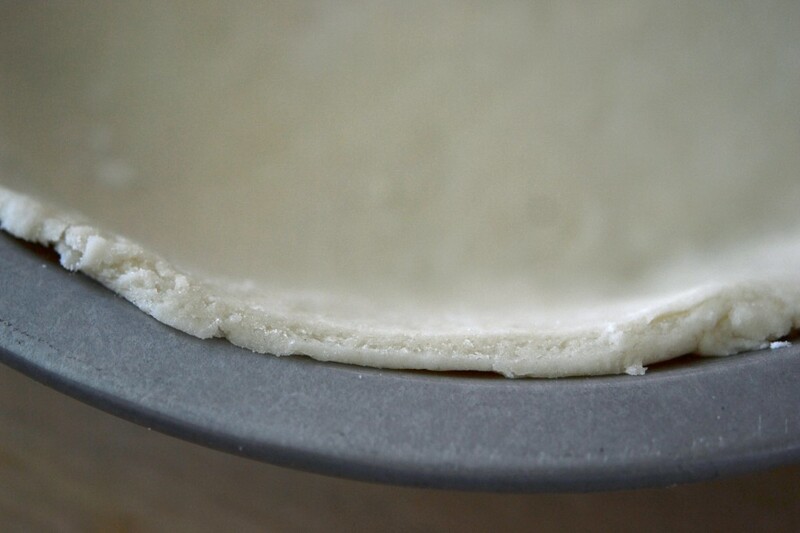 I tried so many variations on that theme to hack Better Batter into a dairy-free Cup4Cup. I finally landed on a finely ground almond meal/flour, in very particular proportions (it wasn’t just a 1:1 almond meal for nonfat milk powder – that didn’t work nearly as well). I have not tested this with any substitutions, so if you’re tree-nut-allergic and dairy-free, this is not the flour for you, I’m afraid. If you ask, I will tell you then what I am telling you now: experiment at your own risk! I am but one person. Forgive me? All the recipes you see here were made with my basic recipe for gluten-free pastry crust (there’s a how-to video in that link, too!) not gluten-free puff pastry. 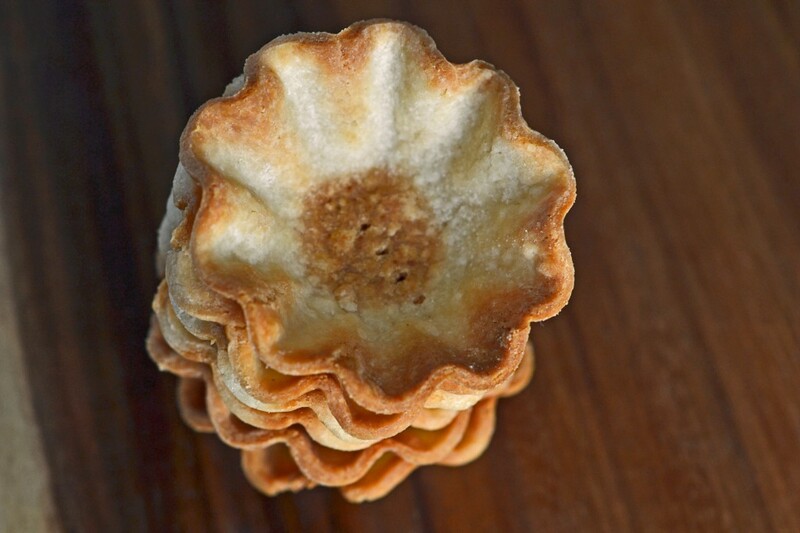 And those apple-cinnamon mini pies above were incredibly light and flaky. I used Spectrum nonhydrogenated vegetable shortening in place of butter 1:1 in my basic pastry crust recipe (or really what’s the point of making the crust dairy-free). But shortening is different than butter. It tends to be either soft, or rock solid and impossible to work with. Butter can be chopped and then frozen, and it won’t freeze completely solid (or can be warmed a bit easily in your hands). So if you’re going to use shortening to make pastry crust, I recommend chopping it very coarsely, and then working with it relatively soft. And sprinkling the dough liberally with extra flour, since it will be much stickier than it is with cold butter. 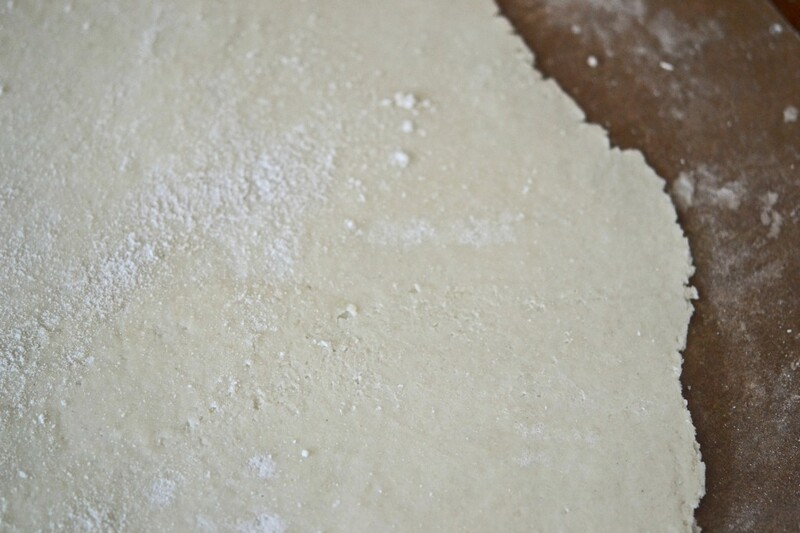 Then, after you roll out the dough and before you bake it, refrigerate it until it’s ice cold. It will still be very flaky. 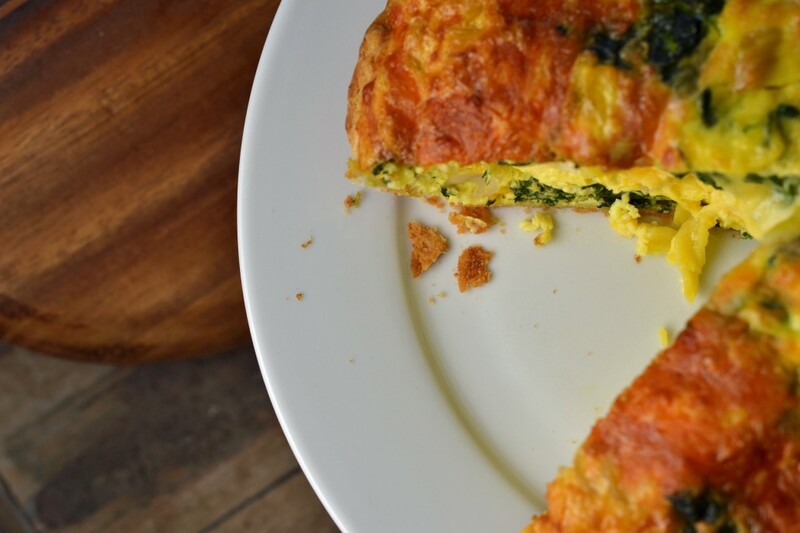 See those flakes in the crust of that quiche? Like that. But it won’t have the same mouth feel as it does with butter, or the full flavor. Shortening has its short-comings (get it?). And no, margarine will not work! It has a super high moisture content. It will melt and spread in an instant. It’s not easy, but if you’re dairy-free and gluten-free, the rewards are pretty great. 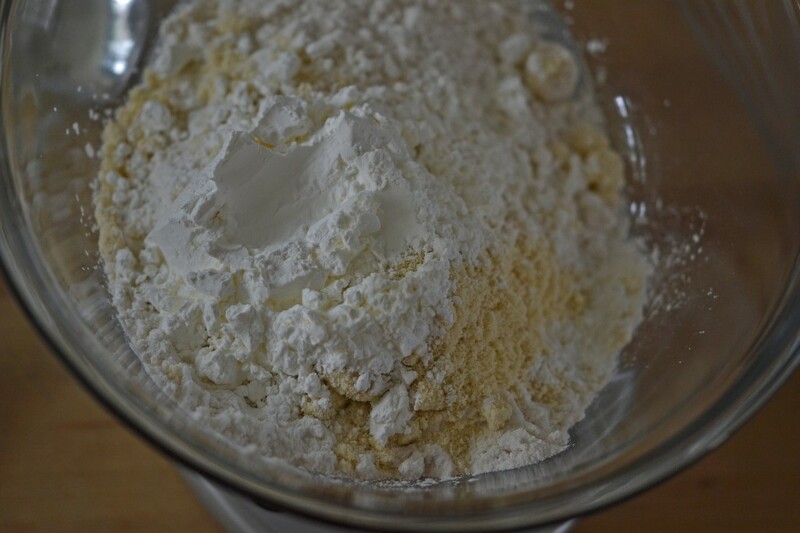 To make 1 cup of dairy-free mock Cup4Cup gluten-free pastry flour, combine the Better Batter, almond flour and cornstarch in a large bowl and whisk to combine well. Store in an air-tight container until ready to use. Can be halved or used in multiples (doubled, tripled, quadrupled, etc.) easily. I can only be certain that this will work with Better Batter flour as a base, as I used its particular protein and starch constitution as a guide. P.S. For more recipes and sage advice (! ), pick up a copy of My Cookbook. I can’t tell you how much I appreciate your support. And if you like this post, please share it! 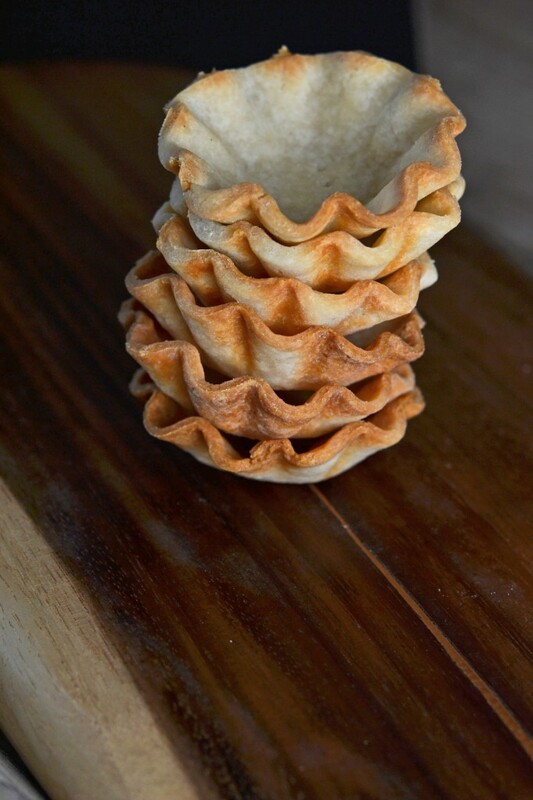 Awesome, Nicole, I’ve been waiting to see what you came up with for this flour hack! I’m not dairy-free myself, but sometimes a DF recipe comes in handy. I’m thinking I need to experiment more with almond flour. Thanks also for the explanation on why margarine doesn’t work on crusts. I never did use it, but now I know why I shouldn’t! We were dairy free for about 2 years back when my son first went GF, but we haven’t been since then. I really like small amounts of almond flour in some recipes in place of whey and/or dry milk. So I have better batter, how much of the milk do you add to make it similar to cup4cup? I haven’t tried cup4cup yet due to cost and the fact you can’t buy it everywhere. Follow the links in the post, Leah, to find my recipe for hacking Better Batter into Cup4Cup. Have you had any experience baking gluten free at a high elevation? I’m heading out to Colorado later in the week (9500 ft), and am concerned especially about adjusting moisture content. I only plan to bake once or twice while I’m there — just hoping it won’t be an entire morning of trial & error. Any tips or links you can share? Unfortunately, I have no personal experience baking at high altitudes. And it’s not something I can even experiment with, since the conditions aren’t available to me! I usually recommend this article from allrecipes, but I also found this list from King Arthur that looks good. Neither is specifically about gluten-free baking, though. Thank you for taking the time to dig those up for me, Nicole. I’ve narrowed it down to just trying baked donuts, as they don’t have yeast. Then I’ll pack extras of all the dry ingredients so I won’t have to panic if there’s a bad batch or two, and pack the leavening separately in case I need to adjust. Extra donuts, how bad could that really be?